COLUMBUS — Recently, local optometrist Dr. Rachel Siegel, who owns and operates AcuSight, in Whitehall, received the competitive Ohio Vision Project Student Loan Repayment Program Award from the Ohio Optometric Association (OOA). The OOA’s Ohio Vision Project Student Loan Repayment Program recognizes doctors of optometry who are committed to treating underserved populations and ensuring they have access to a lifetime of comprehensive eye care. This includes patients residing in underserved areas of the state and those who experience financial or other barriers to receiving vision care. Keith Kerns, the executive director of the Ohio Optometric Association, and Sen. Kevin Bacon made the award. 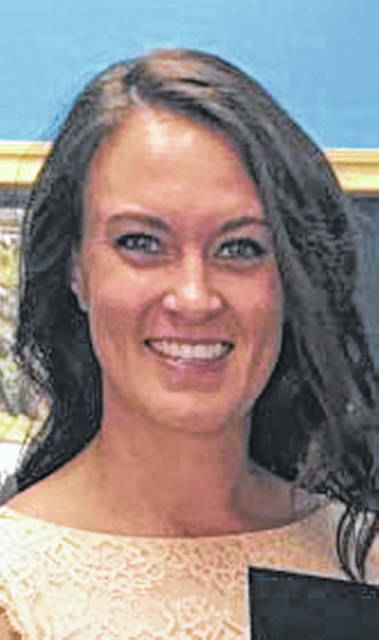 A native of Fort Loramie, Siegel attended the Ohio State University and pursued her optometric career at Southern College of Optometry in Memphis, Tennessee. There she was active in a volunteer group that performed eye exams and distributed glasses in underserved countries. Siegel is a member of the Ohio Optometric Association, the Whitehall Area Lion’s Club and a board member of the Whitehall Area Chamber of Commerce and volunteers for the Ohio Department of Health’s Realeyes education program.